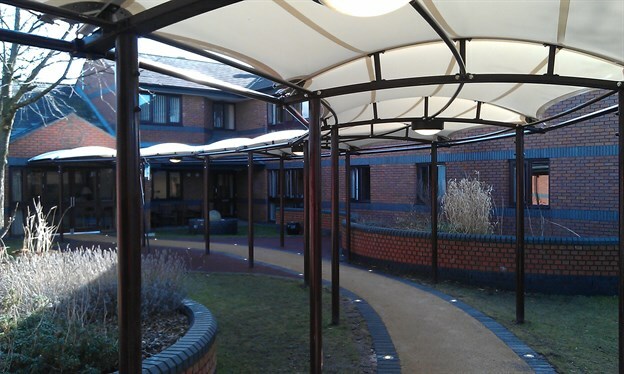 Tensilefabric detailed, manufactured and installed the replacement canopies at Lincoln House Care Home in Crewe. 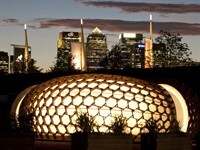 The classic walkway structure follows the curvature of the walkway and was originally installed a number of years ago by someone else. 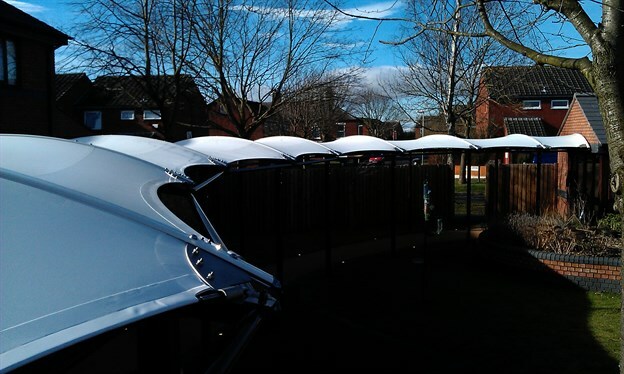 We were asked to update the detailing, improving the water and snow run off, as well as increasing the canopy's life expectancy. The replacement fabric skin is a tough waterproof membrane and uses stainless steel parts for a high quality appearance and a long life span. 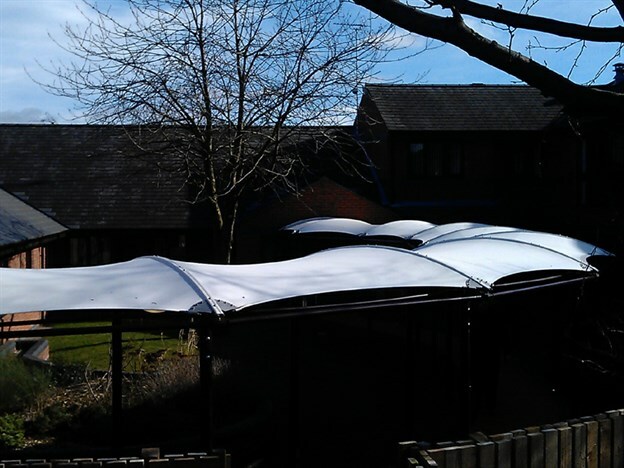 "A debt of thanks is owed to Tensilefabric for the enthusiasm and professionalism that was brought to a difficult situation at our contract at Lincoln House in Crewe. 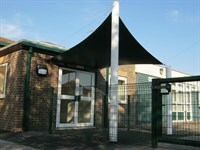 We had an unhappy client because of an existing defective canopy installed by others. 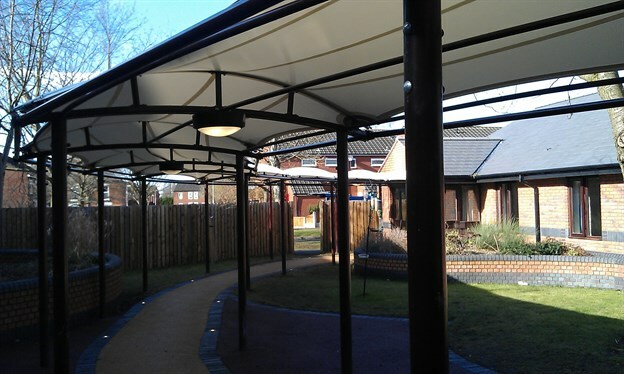 Tensilefabric provided the most competitive quote...and the quality of the products offered was clear to see from the samples brought to site and the comprehensive brochure of previous schemes completed. 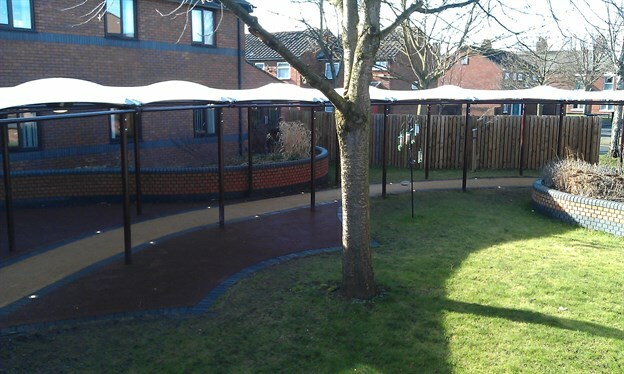 You can view walkway canopies in our star canopy product range.